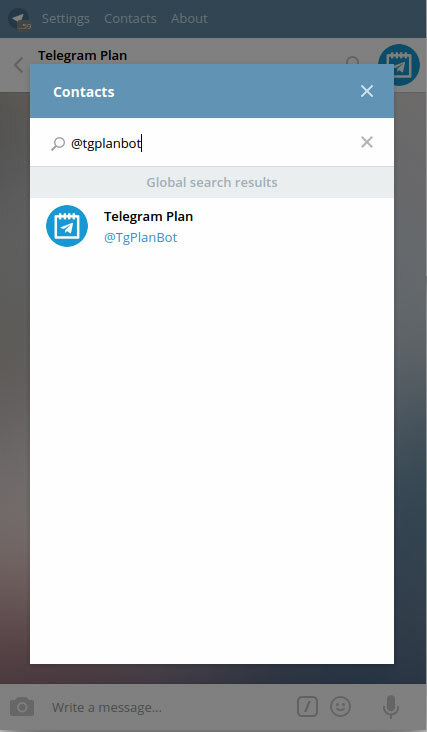 Add our @TgPlanBot as admin to your contact, group or channel and found your chat_id with command /id. 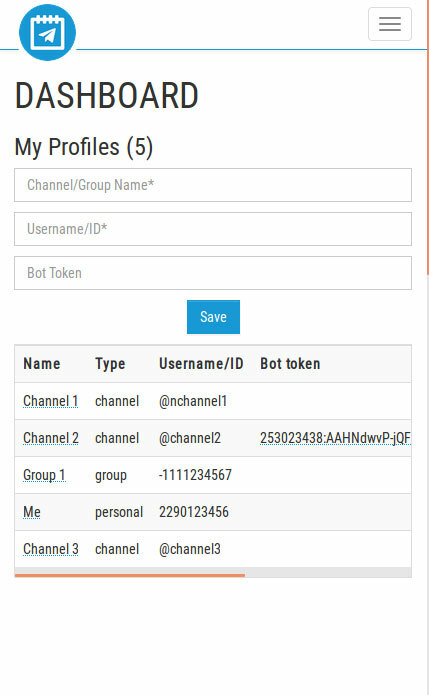 If you would to use your Bot, skip the previous istructions and copy your chat_id and access token (look @FatherBot). Register and login to Telegram Plan (The basic account it's FREE). Then save your Telegram profile (personal, group or channel). Select the profile to would use and schedule a message. 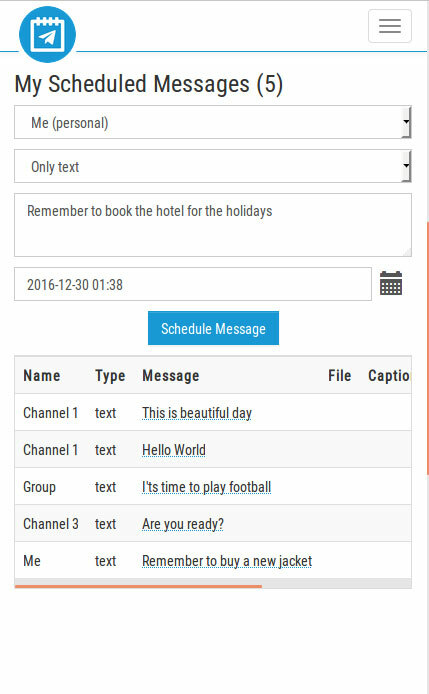 At moment you can schedule text, image, document, animated GIF and text with URL preview. You can schedule also recurrences with the same process. You're finish! Your message will be delivered at the time that you've scheduled! Add a profile (personal, group, channel) to your Telegram Plan account. 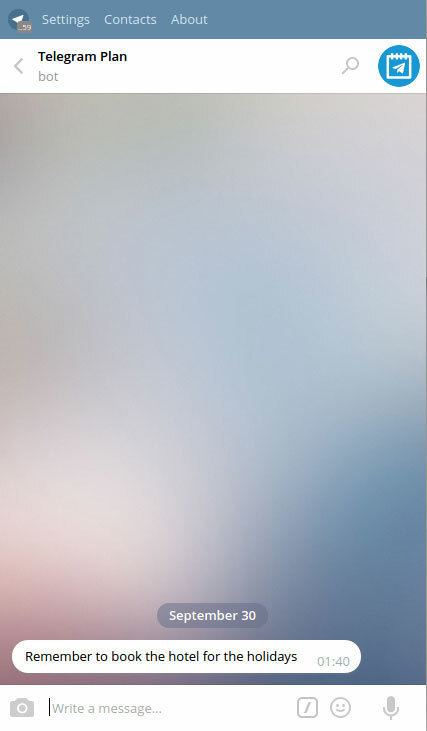 Select a profile and schedule a message (or a recurrence). 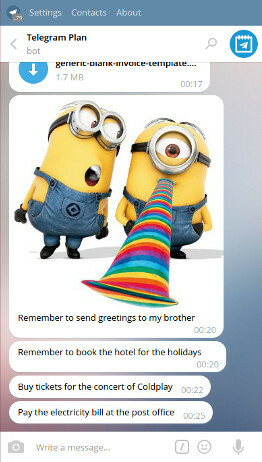 Wait the delivery of your message. It's easy!